As the Department of Labor (DOL) has recently released a New Overtime Rule regarding the Fair Labor Standards Act, employers may be left wondering: how do I communicate these changes to my employees tactfully? This new change will affect several employers and their employees that are used to being exempt, or salaried. If their role needs to be reclassified, or their pay altered in any way, you should set up a plan to do this effectively while still respecting their feelings and concerns. Employees are going to be curious about the changes, and they will definitely start to ask questions. You will be considering your options now, so you should have time to come up with answers to common questions beforehand. Be open with your employees, and reassure them that you are working through your options and will communicate everything with them along the way. Be mindful of the timing, and make sure that all employees know about the change before it happens, especially if there is going to be a reduction in pay or a change in title. It will be easier to accept these decisions if employees are given time before they actually see it occur on their paycheck. As you communicate with employees, do your best to deliver this message in a positive light. After all, it is a step forward to ensure that employees are being paid fairly and consistently. These rules are what allow employees to feel confident about their work and that their rate of pay will reflect this. Anyone who is going to be reclassified should be addressed immediately. While moving from exempt to non-exempt may be seen as a demotion, this is certainly not the case! 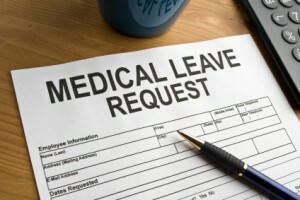 It has many benefits including improved work/life balance and receiving overtime when necessary. Remind them that this is the law, so it is important to comply in order to ensure success and jobs in the future. If they are still hesitant, just remember that it may take time. As long as you are doing your best to communicate effectively, your employees will stand by you no matter what. Uncertainty can be scary, yet change often leads to better outcomes in the long-run. That is the goal of this new rule, and employers will be in charge of setting the tone for their office and staff. Moving forward with a plan intact will ensure stability and clarity for your workforce. If you have questions of your own, be sure to visit https://www.dol.gov/featured/overtime to simplify your mindset so that you can tackle the new rule with confidence! Your employees will appreciate this, and you will be setting your entire company up for success in the future. It is hard to believe that a bill that became effective nearly 80 years ago still has such a resounding effect on the present workforce in America. The Fair Labor Standards Act, or FLSA, was signed by President Franklin D. Roosevelt on June 25th, 1938. There was hope of providing a fair minimum wage for all “non-exempt”, or hourly, employees and placing a reasonable maximum number of hours worked each week. Since then, we have referred to this bill many times in the world of employment. Even so, we are still altering it to fit current society’s expectations and needs. It is important to understand how this bill affects your company and the future of your employment. The Federal minimum wage is currently $7.25. This is the lowest amount that workers can be compensated hourly, commissions and bonuses aside. Each state in America also has a minimum wage that they have set, and it varies across the country. But no matter what, you cannot pay a non-exempt employee below $7.25 for any reason. For non-exempt employees, the FLSA requires overtime pay at a rate of not less than one and one-half times an employee’s regular rate of pay after 40 hours of work in a workweek. It is important to recognize that this does not limit the number of hours per day or per week that employees (that are 16 years or older) can work, it simply lays out the requirements of employees to be compensated once they work over 40 hours in a single work week. Full-time employment and Part-time employment are not defined in this act. That is up to an employer to determine. To reiterate: 40 hours is the maximum amount a week that a non-exempt employee can work without being paid overtime. Employers usually formulate their own definitions from this point. The act has child labor provisions as well, including a limit on hours worked each. If this applies to you, it is important to research this topic thoroughly before committing to employment with a minor. 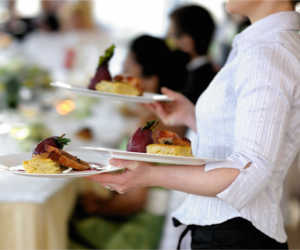 Visit: https://www.dol.gov/general/topic/youthlabor/agerequirements to learn more about the wages and hours that are set for minors. One thing that employers may struggle with is recording hours and wages accurately. It is not only valuable for your employees to have record of their hours and wages, but as an employer you are obligated to maintain these records correctly in some way. This does not mean you must supply pay stubs. Rather, the amount of hours worked by each non-exempt employee and their subsequent wages must be recorded accurately, no matter what. Regularly supervises two or more other employees. Has management as the primary duty of the position. Has genuine input into the job status of other employees (promotions, assignments, hiring, firing, etc). If your employee does not meet these requirements, they cannot be legally classified as an “exempt” worker, and so they must instead follow guidelines of a “non-exempt” worker, which again includes potential overtime pay and a minimum hourly wage. 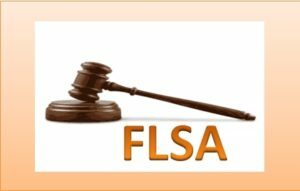 The FLSA is an intriguing set of regulations. It is still being altered to fit the needs of our present employees, and there is a new rule coming into effect on December 1st, 2016. It is important to stay up-to-date with all regulations and requirements in order to remain successfully compliant with the Department of Labor moving forward with your business. To learn more about this impactful act, visit https://www.dol.gov and search for “FLSA”. Shift Differentials can be a great incentive for employees as long as you stay compliant. Many companies find that offering employees different pay rates is a quick & easy incentive structure for filling undesirable work schedules. For example, a medical practice that is open standard hours during the Monday to Friday workweek may also be open for limited hours with reduced staffing on the weekends. Often times, it can be a struggle to fill coverage gaps with late notice, however companies offering employees a higher pay rate through either a percentage or flat dollar rate are more apt to fill these gaps quickly and with less complaints. It sounds great in theory, but how do you actively track different pay rates in the real world without doubling the time you spend on payroll? Our advice: let technology do the work for you. You’ll want to work with a time clock solution that can accommodate this scenario easily and translates over to payroll without doing extra work. 1. Standard pay rate(s) data should be entered into your time clock system. 2. 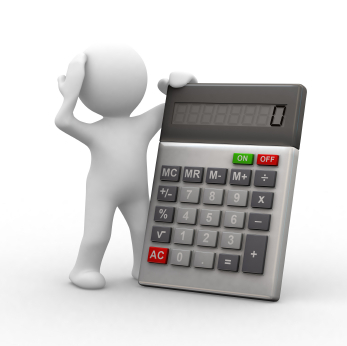 Setup a new pay code in your time clock for each pay rate rule. For example, in a nursing home, your policy may be to factor in +$3.00/hr for aides working the midnight shift (let’s say 10:00pm to 6:00am). Your time clock configuration should allow you to create a pay code called “MIDNIGHT” which then adds $1.00 to the employee’s default pay rate only for worked hours during that period of time. You could get super-creative and have multiple rules which accounts for periods of time and also days of week, but make sure your time software can accommodate this first. 3. 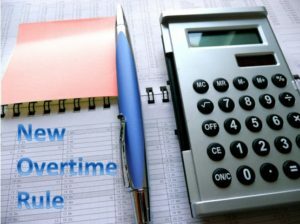 Double-check on overtime pay processing to ensure the “Blended” calculation is used in accordance with federal and state laws. 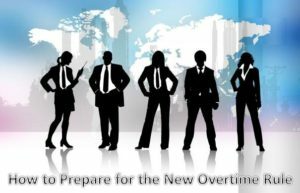 When employees work variable hourly rates, a weighted average formula is used to determine the rate of pay for overtime hours worked. For more information on how this calculation works, you can review this DOL fact sheet. 4. Make sure your time clock system can talk to your payroll system when it’s time to process at pay period end. For differential shift calculations, your time clock export should include all new pay codes with their corresponding hours and pay rates. 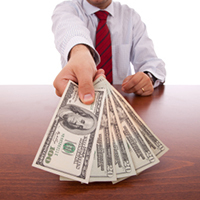 You will also need to include the Overtime pay code, hours and custom blended pay rate. Kay Takeaway Point: Shift differentials should always be managed in your time clock system with the appropriate export definition configured for successful pay processing. 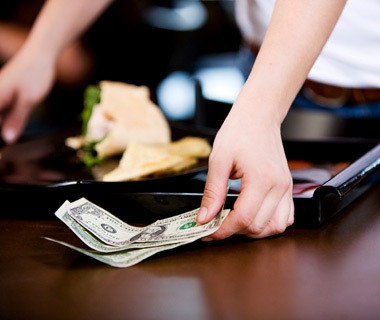 Avoid running afoul of FLSA regulations and setup a successful pay incentive program by leveraging automated time clock and payroll systems.